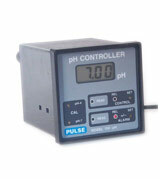 PH controller help in determining the water quality by treating the waste elements present in it. It is a highly serviceable gadget that checks the pH levels of any given solution. The pH refers to the power of hydrogen. This efficient device is used to measure the pH in an easy and convenient manner. The device consists of a pH scale displays the reading from 0- 14. If the scale displays a reading from 0 – 7, it shows that the solution is acidic in nature. Similarly, if the scale displays a reading from 7 – 14, it shows that the solution is alkaline in nature. If the solution displays the reading of 7 it means that it is a perfectly balanced and neutral solution. Nowadays pH controller is widely used in different kinds of industries. A lot of water is needed for smoothly carrying out the various industrial operations. The water that has to be used for this needs to be free from all harmful impurities. This is where a pH controller comes into action. The device ensures that the water is balanced, neutral and fully treated. This is significant so as to regulate the proper functioning of the machines. PH controller is also used in the field of agriculture. Water as we know, is widely used in the full process of irrigation and crop harvesting. This water needs to be free from all harmful chemicals. Only that will ensure high quality crop and well as the fertility of soil. Farmers therefore are now making use of this amazing device in order to neutralize the water and thereby reap a good and healthy crop. In today’s time, a humongous number of online websites offer a variety of excellent and effective pH controllers. Besides this, the whole sale suppliers that you will find online offer these gadgets at pocket friendly rates and also give a minimum warranty period. With online platform, you can easily analogize the prices without any hassle. You can settle down for the most viable option after comparing the product prices at different websites. Buying this electronic product online will also save you from the hassles of going to an electronic store.